Providing an environment where youth can discover their potential for self-reliance and leadership, learn respect for nature and fellow man, develop citizenship and community awareness, and have fun at the same time. It’s the hardest job you’ll ever do for free, with the biggest rewards. The scoutmaster and his assistant scoutmasters guide the boys to develop leadership and moral character. They see that the boy leaders run the troop in a safe and orderly manner. 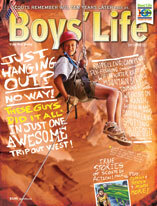 They attend camping trips and hikes as well as the troop meetings. 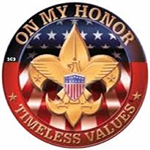 Troop 462 believes strongly that every scout deserves a trained leader and is extremely fortunate in having on staff, a number of adult leaders who have participated in scouting for many years, starting with the Cub Packs. The Troop committee is a group of men and women – some parents, some not – who have agreed to help the troop in a support capacity. In effect they serve as the troop’s Board of Directors. Their primary responsibilities are assuring adequate and trained adult leaders, raising funds for the troop, approving major expenditures, overseeing the general program, assisting with advancement and providing whatever assistance is necessary for the effective operation of the troop. All parents are invited to join the committee. Experience is not necessary. You may just want to “sit in” on a committee meeting to see what we do. The committee meets on the 3rd Thursday of each month from 7:00 pm to 8:00 pm. Meetings are held in the Scout Room in the Annex building. It’s a great way to get involved if camping and the outdoors is not your thing!